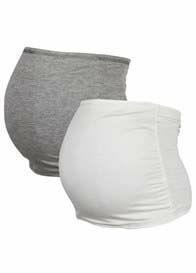 Belly Bands (also known as belly belts) are a wide circular strip of fabric to wear over your baby bump. There are three main types of maternity belly bands. 1. Belly warmer band. These are also known as haramaki. These traditional garments date back to Japan's 12th century samurai. The Japanese believe that having a warm stomach is the key to staying well. Keeping the body core warm helps the body distribute warmth and energy. This style of belly band is thin and lightweight, designed to be worn against the skin as an additional layer. 2. Jersey belly band. 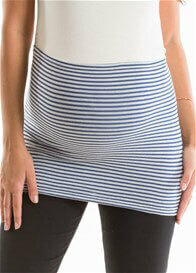 This is the most common type of maternity belly band. They hide unbuttoned pants and help keep them up. 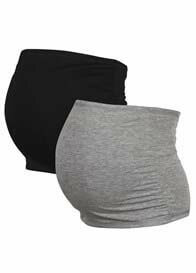 As your baby bump grows, you will find that your tops begin to shrink and the jersey belly band makes a great layering piece to keep your belly covered. 3. Support belly band. These are designed to provide varying degrees of compression and support. Some offer belly lift which reduces abdominal and back pain. These are generally engineered in a seamless fabric (like a thick hosiery fabric) to be worn under clothing. Q Which belly band is best for exercise? A The Blanqi and Preggers belly bands are best for exercise. 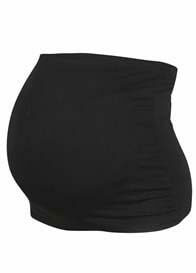 The Preggers belly band is best for running or jogging as it allows for unrestricted leg movement. Q Which belly band is the most supportive? A The Blanqi belly band is the most supportive. It is engineered with patented, multi-gradient compression, where the multi-plane panels lift vertically and distribute weight horizontally reducing stress on your body. 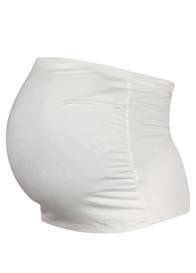 It also has a knit-in belly support belt alleviates your baby weight, decreases pressure on the pelvic floor and reduces abdominal and back pain. Q Which belly band is best for sleeping? A The organic belly band is the most popular for night wear as women love the feel of the inner organic layer against their skin. Q How should the belly band feel when on? A The belly band should move when you do and not feel restrictive.